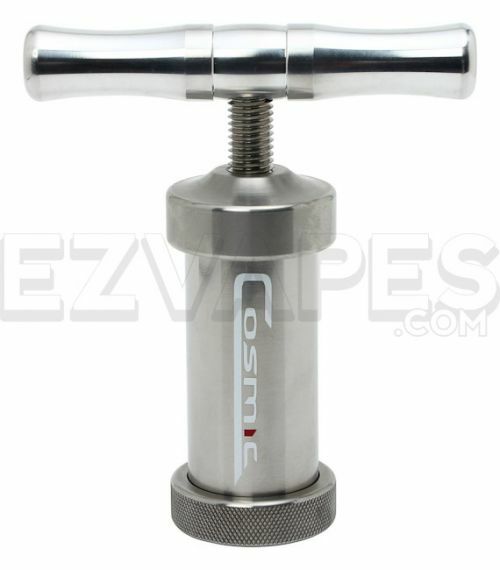 Machined from solid stainless steel right here in the USA, the Cosmic line of Mega T Pollen Presses are super durable. The "T" handle design gives you the ability to quickly and easily press your material with a few simple turns. The Large Cosmic Mega T Handle Press is 4" tall and has a width of 1.50"
Note: "Asian Symbol" impression disk that was previously included with this press has been discontinued by Cosmic. Now includes one plain disk.